When you travel, a whole fleet of electronics come with you. Smartphone and laptop are a given, but there’s a good chance you’re also toting a tablet, and maybe a cellular hotspot or dedicated GPS. All of them are juicy targets for bad guys. 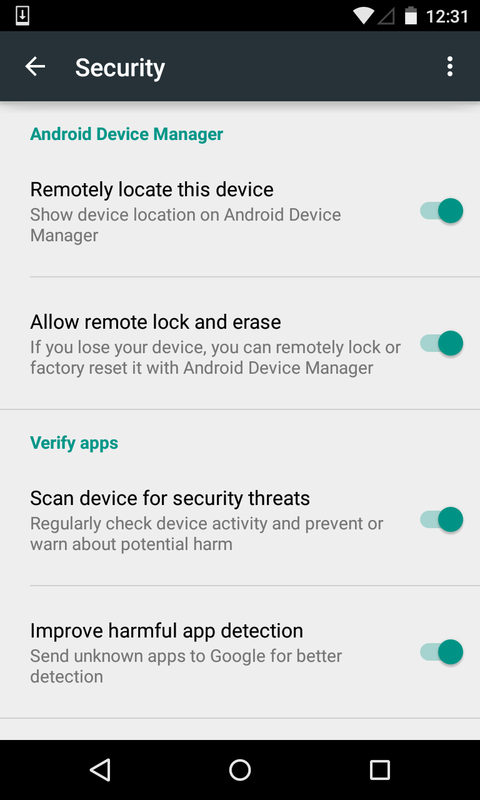 Here’s how to make sure your devices’ travels are just as safe as your own. Public Wi-Fi hotspots are essential. They’re like an oasis in the disconnected desert when you run into their blessed signal in coffee shops, airports, or even public parks. But wide-open Wi-Fi hotspots can also be dangerous. Using a VPN on public Wi-Fi hotspots will prevent snooping. If you’re connected to a malicious WI-Fi hotspot that attempts to funnel you to fake phishing sites, the VPN will bypass all that junk and allow you to browse normally. Set a decent password—not “password” or “letmein”—on your laptop and have it prompt you at boot. (Here’s how to change your password in Windows 7 and Windows 8.) Ensure your laptop is set to ask for the password when it wakes from sleep or hibernate mode, too—this will thwart opportunistic snoopers and also make more trouble for thieves. 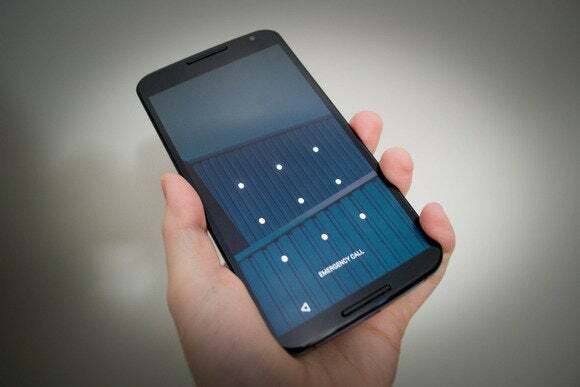 Your Android phone doesn't have to use a standard passcode—the one here uses a customizable pattern lock, instead—but it should be configured to require authentication in some way. Be sure to set up device-tracking, remote-locking, and remote-wiping features ahead of time, too. This is easy on most smartphones and tablets. Android phones and tablets offer integrated tracking via Google’s Android Device Manager, and Apple’s iPhones, iPads, and Macs offer integrated tracking via Find My iPhone in iCloud. Windows Phones offer integrated tracking, too. 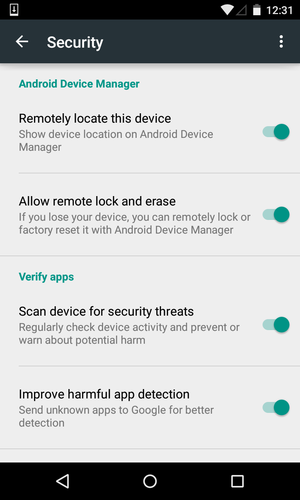 Android Device Manager options on a phone. Enable this feature on your mobile devices ahead of time. Also take a few minutes to familiarize yourself with the web-based interface for tracking your devices. Features like remote wiping may not be enabled by default, so you’ll want to check those as well. Tracking is tougher with computers. Windows laptops, Chromebooks, and Linux PCs don’t come with anything built-in. You may want to install PC-tracking software like Prey Anti-theft, which has a free version and is available for Windows, Linux, and Macs. Windows tablets also lack built-in tracking like Android tablets and iPads have, so you’ll need to install a third-party utility on these devices as well. Don't be the next person who misplaces a laptop with customer credit card numbers or personal employee information on it. Encryption ensures someone can’t go straight to your storage to snoop through your stuff if your device is stolen. Android, iOS, Chrome OS, Linux, and Mac OS X all offer integrated full-disk encryption features that are easy to enable or enabled by default. Windows is still the laggard here. If you have a modern laptop or tablet that came with Windows 8.1, its data may be encrypted with “device encryption.” But this works only if you’ve logged in with a Microsoft account—not a local user account. If you have an older device, you’ll need to upgrade to the Professional edition of Windows 7 or 8 and enable BitLocker encryption. You could also use a third-party full-disk encryption solution, such as TrueCrypt. Even in its defunct state, some security experts consider TrueCrypt 7.1a safe to use, and other encryption tools are available as well. Proper backups are crucial, although this tip may be overlooked and underappreciated. Backups can help you recover your precious data if your device is stolen, broken, or otherwise lost while you’re travelling. You could go to the cloud with an online backup service like CrashPlan or BackBlaze. You could also back up to an external hard drive. For maximum security, store backups in both places and have backups in multiple locations. PCWorld’s guide to backing up your PC for free can help if you need it. But, whatever you do, don’t just back up to an external hard drive that you bring with you and keep in your laptop bag. 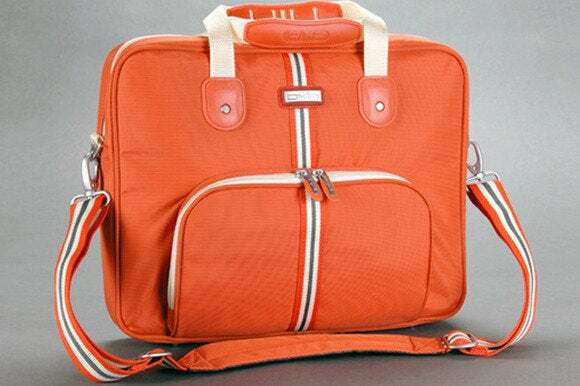 If you lose that laptop bag, you’ll lose all your backups. Take it from someone who once lost all his stuff because he didn’t do proper backups: You really need to get serious about backups before disaster strikes! Let’s rewind a bit. Staying secure on the road isn’t just about software features—you also need to stay alert and keep an eye on your stuff in the physical world. Keep your smartphone in your front pocket, not your back one. Don’t just leave your smartphone sitting on a table in a coffee shop or restaurant when you go to the restroom, either. Yes, I’ve seen people do this, and I’m always amazed their phones are still there when they return. Oxio's Retrostriper LTB-1041 Laptop Brief. Macworld loved it. The same goes for laptops. Please don’t leave them sitting on a table in a coffee shop—logged in—while you step away. I’ve seen this, too. It boggles the mind! Keep either your eyes or a hand on your devices at all times. Keep that laptop in a bag when you’re not actively using it to make it less of a target. If you’re staying in a hotel, whatever devices you aren't carrying with you should be locked in your room’s safe, assuming your hotel offers one. If nothing else, tuck expensive devices into a bag or suitcase. Mobile devices are incredibly easy to steal. Don't add to the statistics: Use common sense and be careful. I’ve traveled all over North America and Europe and haven’t lost any devices or had trouble with compromised public Wi-Fi networks. But I’ve never left my smartphone and laptop sitting on a coffee shop table when I go to the restroom, either.